If you don't fancy spending heaps of money for a lunch or dinner on Christmas Day, the list below includes venues to experience festive dining and celebrate the Christmas season before the 25th, without the high seasonal cost. 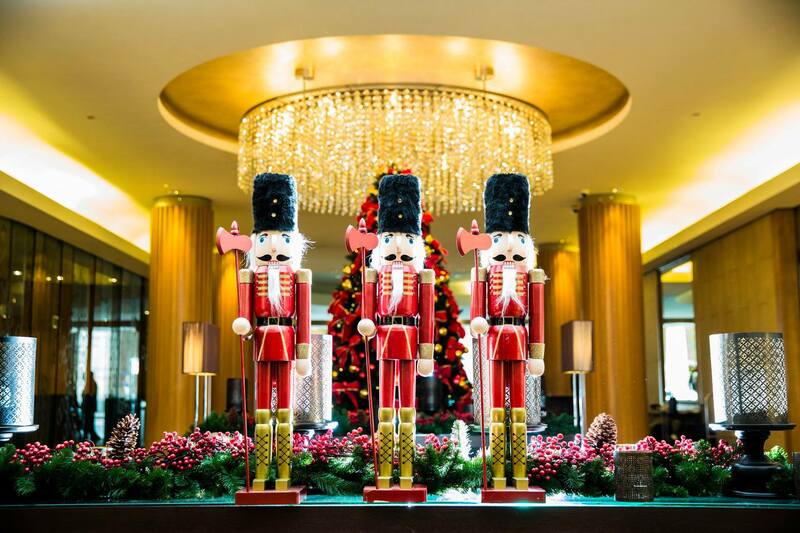 The Garden Court Restaurant offers two pre-Christmas dining experiences. The first, Partager de Noel, is a two course ($39 per person) or three course lunch ($49 per person) 12 noon to 2.30pm Monday to Friday from 28 November until 23 December. The second, Menu de Noel, offers a two course ($85 per person) or three course dinner ($95 per person) from 21 December to 31 December. Included in the cost of the dinner is a complimentary festive eggnog upon arrival. Click here for details. The Feast Restaurant will host festive lunches and dinners from 30 November to 30 December excluding 24, 25 and 26 December. Monday to Thursday's lunch will be $89 per person; dinner $99. On Friday & Saturday's, lunch will be $99 per person; dinner $109. Sunday lunch and dinner $109 per person. The Gallery space at the Sheraton has two festive high tea options. The first is the Festive High Tea Experience from 11:30am Monday to Friday, $150 for two, inclusive of two glasses of Chandon Blanc de Blanc or $170 for two, inclusive of two glasses of Ruinart Blanc de Blanc. 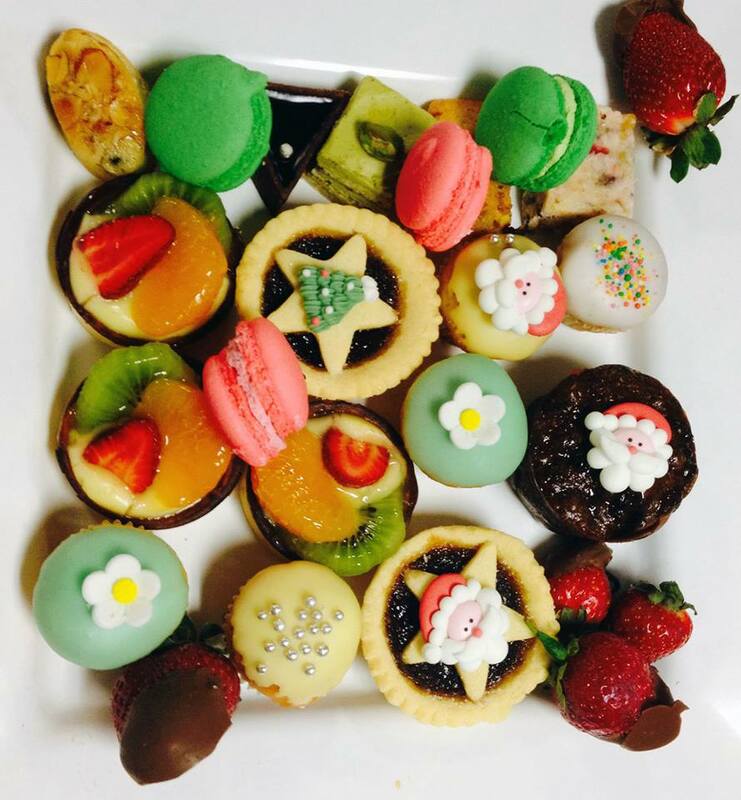 The other outstanding experience is the Festive High Tea Buffet from 12:00 noon Saturday to Sunday every weekend offering a decadent Afternoon Tea Buffet $69 per person, inclusive of coffee or tea or $79 per person, inclusive of a glass of Chandon Blanc de Blanc. Click here for their Christmas brochure. This unique spin on Christmas offerings is called Festive Friday which offers a selection of specially prepared Christmas treats. There will be a wide selection of fresh seafood and meats such as Christmas ham or roast turkey with cranberry jus and apple sauce. Their tempting dessert buffet will include favourite warm Christmas desserts with vanilla anglaise plus many other desired desserts. Buffet lunch 12.00 noon to 2.00pm every Friday, 25 November to 23 December. Price $85 adult, $45 child (3 - 12 years). Click here for their festive brochure. Get a bunch of six or more friends together for lunch or dinner and enjoy a buffet or a la carte lunch as part of their shared public cruise. Lunch from $65 per person, dinner from $89 per person. Valid 18 November to 24 December 2016. Click here for more details. The Star Buffet has eleven establishments across NSW and ACT. 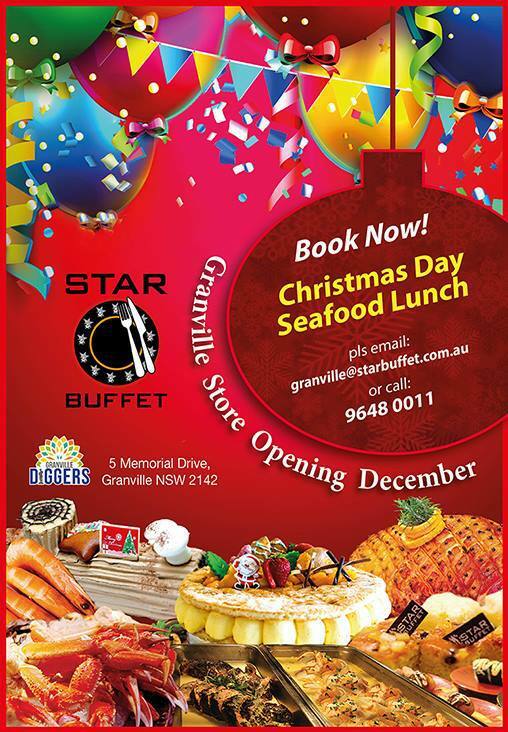 Bankstown Star Buffet offers a dinner Christmas menu from 16 December 2016 to 2 January 2017. 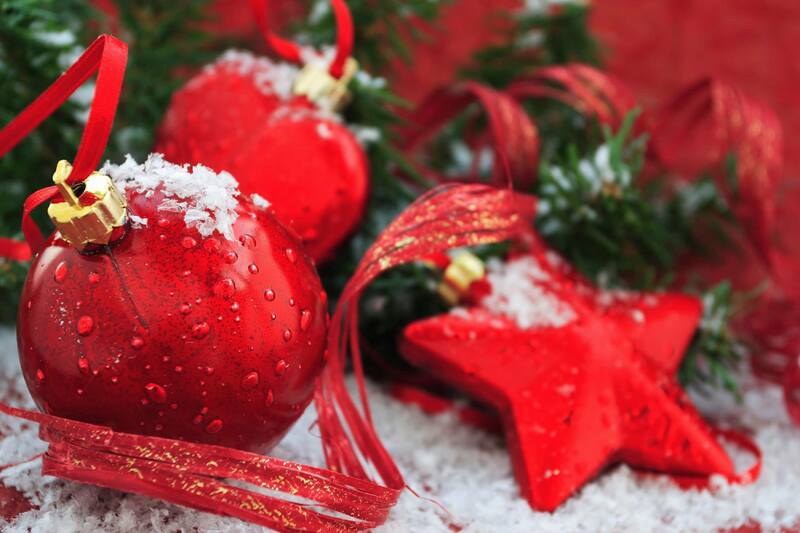 On 26 and 27 December as well as 1 and 2 January, the Christmas menu will also be offered at lunch. Click here for Bankstown website. Star Buffet management assured me that every Star Buffet will include Christmas festive food in their menu. A new eatery will open at Granville in December, in time for those yummy Christmas treats. Click here for details and locations of Star Buffets. There is a choice of three tempting offers. 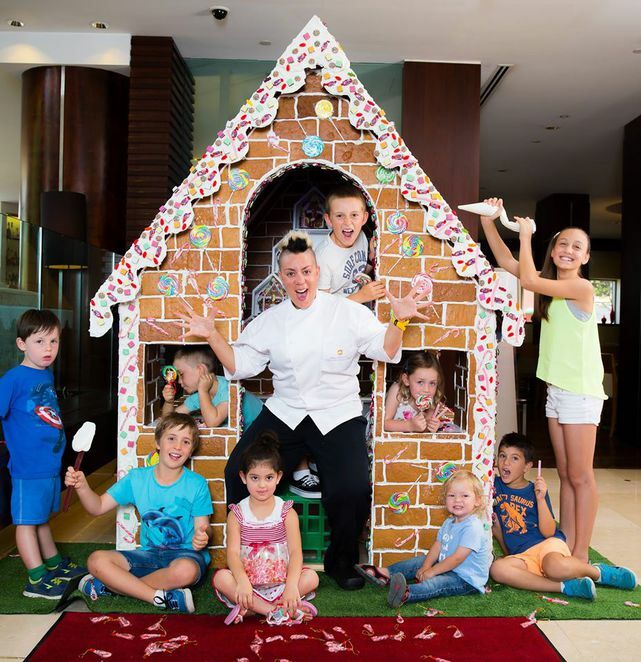 An indulgent Festive High Tea from 1 December to 31 December designed by their wunderkind dessert chef, Anna Polyviou. Priced at $55 an adult and $27.50 a child, this would be a delicious dessert feast. The Shangri-La also has festive take away pastries to take home and indulge, again the creation of Anna Polyviou. This offer is available from 1 to 25 December. You may prefer the option of a Five Star Festive Feast Take Away. If you don't want to spend hours preparing a festive meal for family and friends, the Shangri-La chefs have done the work for you. The chefs have prepared two festive take-away Christmas options. One with whole roasted stuffed turkey, vegetables, salads, cherries and a choice of two desserts. This option serves six people and is $490. The other option is a honey-glazed ham, vegetables, salads, cherries and a choice of two desserts. This also serves six people at $540. This offer is currently available till 26 December 2016. Consider your local club for pre-Christmas dining. 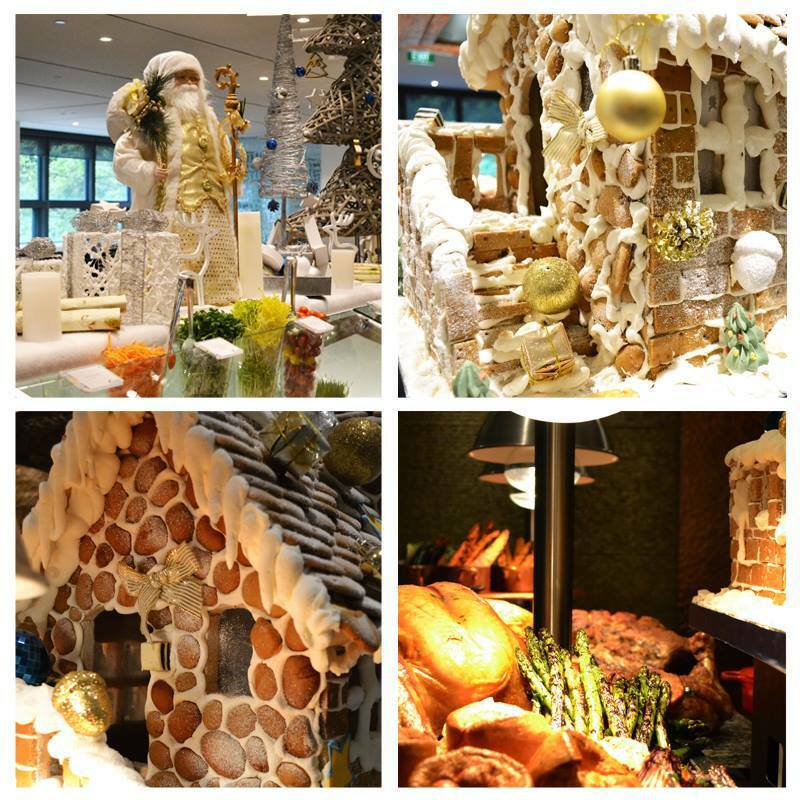 The North Ryde RSL has a Christmas Le Grand Buffet on Tuesday 6, 13 and 20 December. There is a Christmas buffet meal, drink, dessert, coffee and entertainment, all for $30. A bargain. Click here for information on the buffet. These are some suggestions. 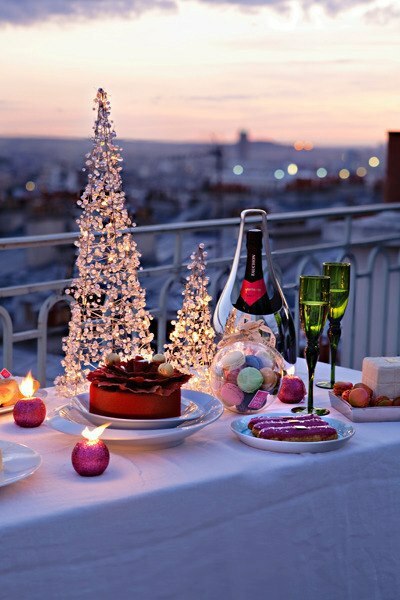 Share with us if you know of other venues that have pre-Christmas dining. An excellent idea, Faye, more money for pressies!